The Netherlands Initiative for Capacity development in Higher Education (NICHE) is supporting the project ‘Strengthening the regional EALAN network to build capacity in Land Administration and Land Governance in the Great Lakes Region’ (SEALAN). The project aims to support the EALAN Network to become more sustainable and assist the network and its members in developing, expanding or renewing their services and products related to land Administration, Land Governance and Conflict Resolution, and topics related to Access to land for Women and other Vulnerable Groups. iii. Access to land for women and vulnerable groups in all member countries of the network that contribute to regional knowledge sharing and evidence-based policy development and respond to the demands of the labour market. Regional and coordinated development and provision of education, training and research services in Land Governance, SGBV and Natural Resources Management, that contributes to the resolution of regional conflict dynamics and inclusive growth in the Great Lakes Region. This writeshop supports the implementation of Work Package 4 of the SEALAN Project on Research. This work package seeks to work in close collaboration with the EALAN Research Council to develop a shared research agenda (including short and long term ambitions), to enhance existing collaboration arrangements tools (e.g. the Journal of East African Land Administration), to develop and apply skills in undertaking collaborative research and its dissemination, and to ensure that gender is embedded into all current and future EALAN research activities. Aims of the Work Package 4: The Research Work Package aims to establish a sustainable research program amongst the EALAN member institutions. The ‘Research’ Work Package responds to indicators 4, 5, 6, 8, and 10 of the SEALAN project. The package has 5 key aims: 1) to identify shared research interests amongst EALAN member institutions leading to the development of a shared research agenda (indicator 4); 2) to create awareness of the importance and benefits of acting as research peers (indicator 5); 3) to develop and apply a framework for research collaboration, including funding acquisition, amongst EALAN members (indicator 6); 4) to build skills and knowledge on research dissemination pathways including advocacy and lobbying (indicator 8); and 5) to ensure gender issues and women’s rights are embedded into all EALAN research related activities. iii) developing an EALAN collaborative comparative report for the two researches. 1 collaborative comparative research on Land Governance – for journal publication and presentation at an International Conference. A budget to facilitate one EALAN staff to an international conference is available. 1 collaborative comparative research on Access to land by Women and other Vulnerable Groups – for journal publication and presentation at an International Conference. A budget to facilitate one EALAN staff to an international conference is available. Format of the writeshop will involve plenary sessions, discussions, role technical sessions and individual writing time. The objective of these sessions is to work on writing and deliberating on matters related to the researches, as well as discussing the outlooks for ‘what next’ after the writeshop. Before the actual writeshop event, pre-writeshop engagement, which includes peer-reviewing of articles will be shared to participants where comments can be worked on and brought to the writeshop. Also, early results of the comparative research (in a matrix format) will be shared with participants so that they can familiarize these. The writeshop will focus on task division for section writeups for the comparative reports. Consortium partners are available to review the two comparative EALAN researches before submission to journals for publications/submission to conferences. Further, follow up activities on this writeshop are given in the Terms of Reference (ToR) accompanying this concept note. 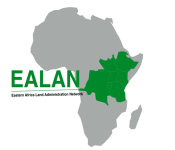 EALAN staff are asked to inform the SEALAN project coordinators once their country papers and policy briefs are submitted for publication or presented at conferences or shared at policy influencing fora. These have implications on the dissemination of the EALAN researches as well as on reporting to Nuffic. One participant working on a country report from each of the 8 EALAN countries is represented at the training. Prerequisites for participation is included in the ToR accompanying this concept note. 11. Université Évangelique de Bukavu Democratic Republic of Congo. Sessions will be carried out in English. This information is communicated separately in the ToR accompanying this training.